Dreading that reverse park? Suffering from parallel parking panics? At Warrington Car Audio and Towbar Centre, we have a wide range of factory-fit look OE (Original Equipment) rear cameras to suit your needs. Conveniently integrated through the OE dashboard screen, the reversing camera is either fitted in the number plate light or alternatively, can replace the boot handle, this is entirely dependent upon the vehicles make and model. 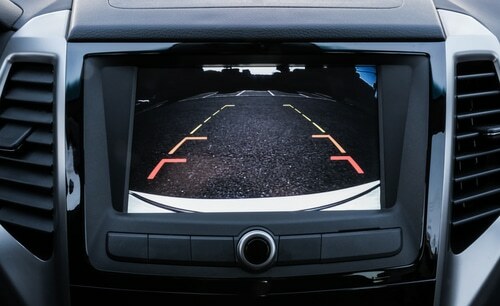 Most OE rear cameras provide parking guidelines and again, dependent on your vehicle, some move with the steering wheel for the optimum parking experience. With a wide variety of cameras available for many makes and models, contact us direct for free and professional advice.